The room was a good size and clean. Staff were friendly. The pool was an excellent size and the beach very close by. The apartmemt is spacious. It is near to beach and aminities. good value for money. 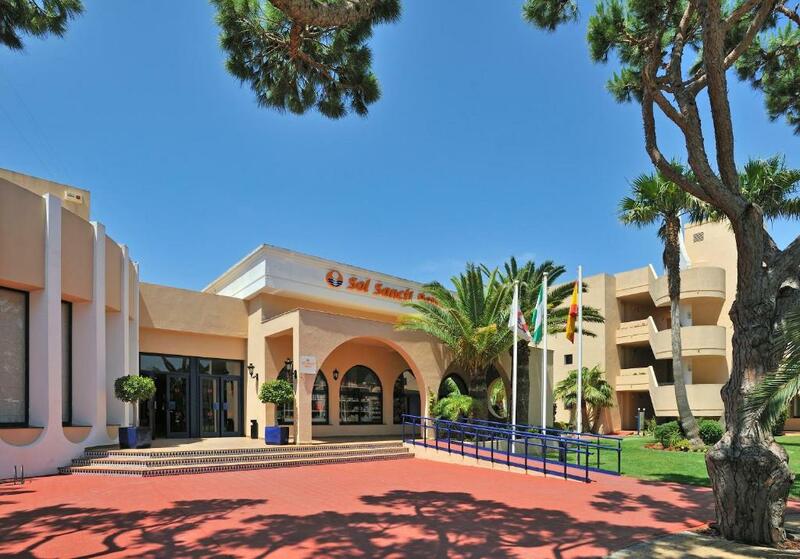 it was one of the cheapest hotels we could find close to cadiz. it also offered the bonus of an apartment, a big bonus as we have a 2.5 year old so we could put him in a seperate room. the pool was good, and it's close to a beautiful beach. 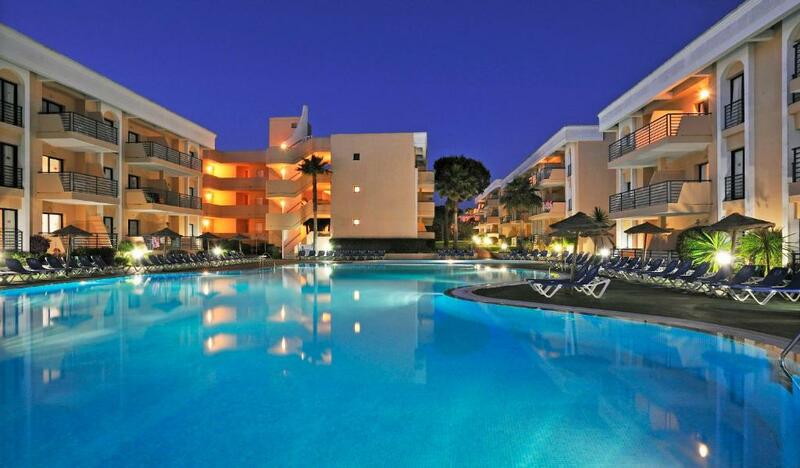 Very near to the beach, quite apartment with a nice and private balcony. Путешествуем по Испании на машине, поэтому выбирали отель с парковкой. В отеле есть подземная платная парковка и достаточно мест free вокруг. Кроме выходных проблем не было! Номер наших апартаментов был удобный: спальня и отдельно кухня с гостинной и террасой. Кровати и подушки удобные. Полотенца меняли ежедневно. Уборка - по желанию тоже ежедневно. Посуды для готовки достаточно, поэтому завтракали в номере. Ближайший супермаркет в 20 мин. ходьбы; на машине или автобусе можно доехать до крупных магазинов. Пляж в 5 минутах. В отеле есть свой ресторан, но мы там не ели. В номера на 1 и 2 этажах есть лифт. Комплекс симпатичный, с бассейном и лежаками, вокруг ухоженные газоны. 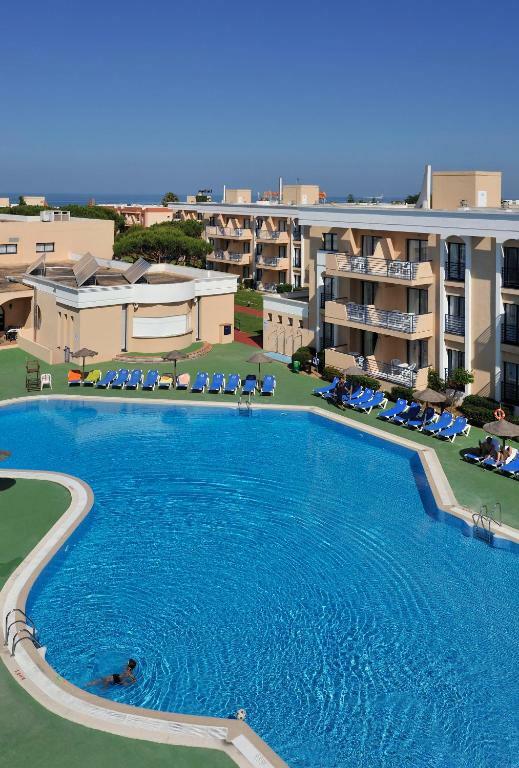 Lock in a great price for Sol Sancti Petri Aparthotel – rated 8.1 by recent guests! 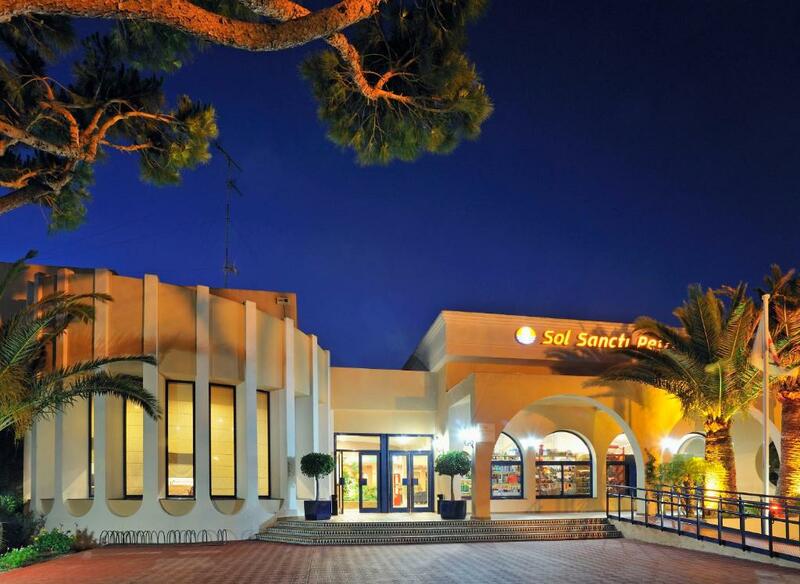 Sol Sancti Petri Aparthotel This rating is a reflection of how the property compares to the industry standard when it comes to price, facilities and services available. It's based on a self-evaluation by the property. Use this rating to help choose your stay! Offering direct access to the beach, Sol Sancti Petri Aparthotel is set in Novo Sancti Petri, in Chiclana de la Frontera. It features an outdoor pool, table tennis, and is next to Vincci Golf Course. Sol Sancti Petri Aparthotel offers rooms and apartments. All have a private terrace, and there is a living room with a sofa bed and satellite TV. The rooms include a fridge, and apartments also have a kitchenette with a microwave, fridge, and kitchenware. A safe is also available for an additional cost. There is a children’s playground. A children's activities program is provided, as well as a fitness program for adults in high season, including spinning, aqua-spinning, GAP, and waterpolo. The hotel has a buffet restaurant, with show-cooking and themed nights. There is a café-bar with a terrace. You can hire a bicycle or car from the 24-hour reception, public parking is available in the area, and private parking is available for an extra charge. 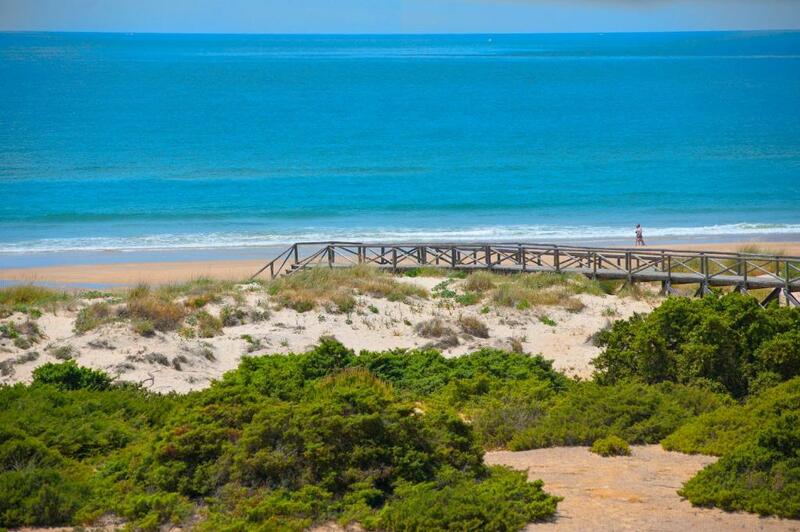 There is easy access to the A48 Motorway, and Chiclana de la Frontera is a 20-minute drive away. When would you like to stay at Sol Sancti Petri Aparthotel? This bright, air-conditioned apartment has a private terrace. It includes a double or twin bedroom, a living room with a sofa bed and satellite TV, and a kitchenette. Free WiFi is provided. Please note that the use of the safe incurs an additional charge. This quiet, spacious room features a double or twin bedroom and a lounge with a sofa bed. There is a fridge and a private bathroom, as well as a private terrace. Free WiFi is provided. This room does not have a kitchen. Bright, spacious apartments offer a private terrace with views of the gardens and a double or twin bedroom. The lounge includes a sofa bed and satellite TV and there is also an equipped kitchenette. Free WiFi is provided. 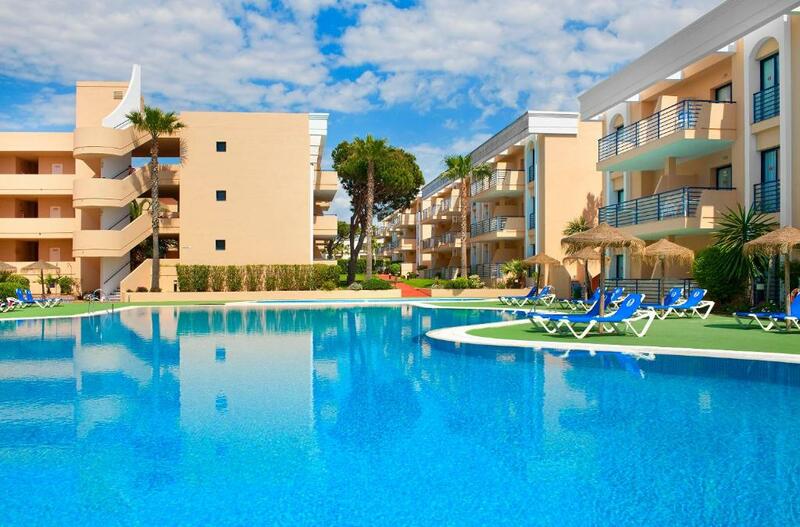 Bright, spacious apartments offer a private terrace with views of the pool and a double or twin bedroom. The lounge includes a sofa bed and satellite TV and there is also an equipped kitchenette. Free WiFi is provided. This apartment has a balcony, kitchen and seating area. Free WiFi is provided. 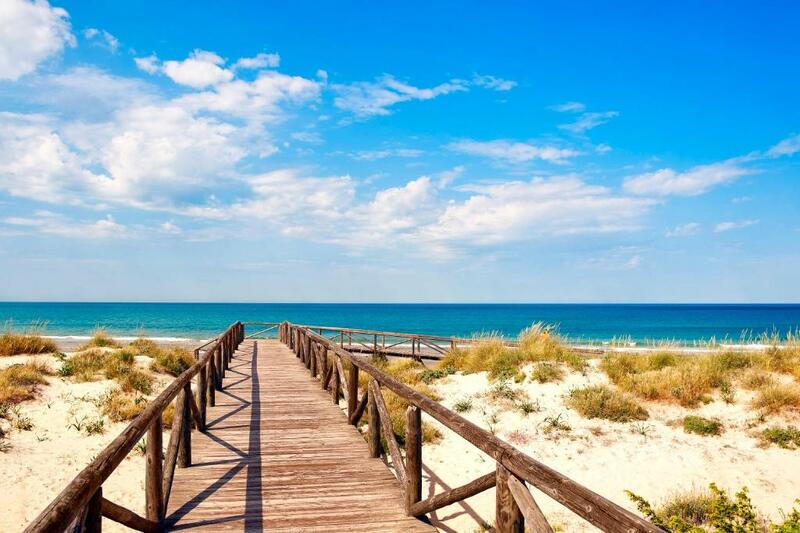 The fine white sandy beach of La Barrosa in Chiclana is 8 km long It is one of the most popular beaches in Andalusia and one of the best in the whole of Spain It provides a full range of beach services: medical assistance, toilets, showers, bins, lifeguards, public access points and public car parks. House Rules Sol Sancti Petri Aparthotel takes special requests – add in the next step! 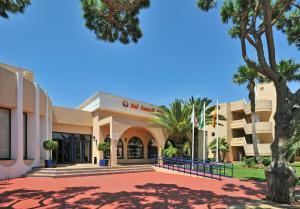 Sol Sancti Petri Aparthotel accepts these cards and reserves the right to temporarily hold an amount prior to arrival. The hotel reserves the right to request, at check-in, both the credit card used to pay in advance and the cardholder’s ID. Actually finding the place in the first place! The food was pretty awful. We paid extra to have the breakfast buffet and it was disgusting. Very poor quality products and badly cooked. The scrambled egg had so much milk in it, it was gross and not edible. The 'fresh' orange juice was not real orange juice it was powder with bits, mixed with water. Tried the buffet once. Quantity and choice was there but quality missing. Proximity to the beach and friendly staff. Walk to the beach was through a dusty smelly (garbage recepticles) path. Parking was in the same dusty dirty place since there was never any empty spots in the regular parking lot. We have spent 2 weeks at Sol Sancti Petri Resort. It was clean, the staff was very polite, but when it comes to relax in a quiet place – it was a NIGHTMARE. Construction works, building of terraces and roofs, cutting down the trees, roaring lawn mowers, garden vacuum cleaners, saws – the oldest equipment with combustion engines. It was such a big noise that we could only dream of relaxing on the terrace. And this situation lasted from Monday to Friday every day for the whole two weeks! Constant noise that we couldn’t stand. Requests and interventions at reception were IGNORED by the staff who seemed to be very calm and understanding. I bet the owner and the manager don’t know that this type of facility should use silent electrical equipment, instead of lawn mowers, grass trimmers, garden vacuum cleaners and saws with combustion engines. Each of these devices exceeds a minimum of 100 - 200 decibels and construction work should be done in low season, not in the second half of July. It was the most horrible holiday stay I have ever experienced. We will never come back here again. I don’t recommend this resort to those of you who want to rest.